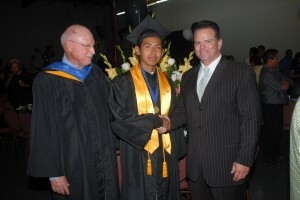 Editor’s Note: This is the second in our series of articles about charter schools in Santa Ana. 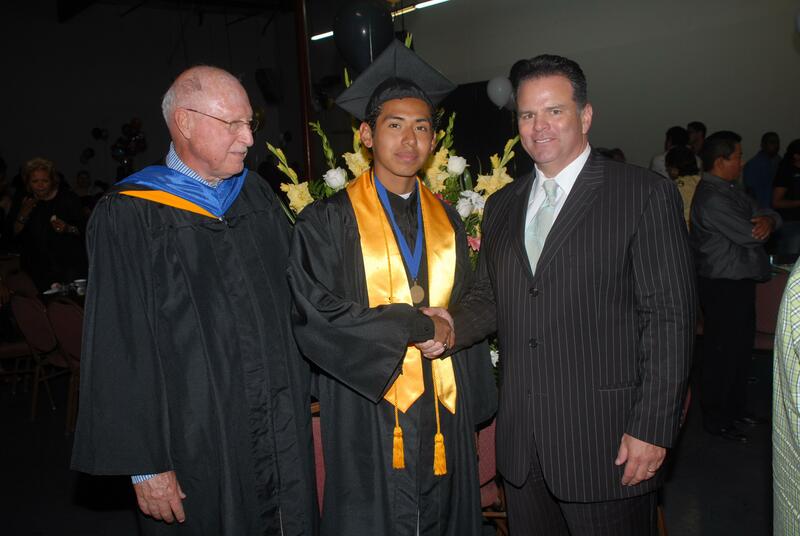 The Olive Crest NOVA charter school works in partnership with Olive Crest, Santa Ana Unified School District and Santa Ana College (SAC), which means that the Olive Crest Academy students receive both high school and college credits. NOVA is one of 60 schools awarded by the US News and World Report to receive the 2010 Bronze Medal for the Best High Schools in California. Adding a dramatic surprise to an afternoon filled with triumph and emotion, PIMCO executive Mark Porterfield announced during the graduation ceremonies of Olive Crest’s NOVA Academy Early College High School that the PIMCO Foundation was awarding NOVA its “Excellence Award 2010,” including a $25,000 grant to the acclaimed charter school for at-risk teens. 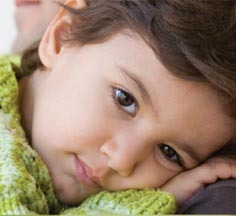 The PIMCO Foundation is the charitable arm of the Newport Beach-based money management firm PIMCO. The PIMCO Foundation is committed to making communities better, stronger and healthier places to live, learn and work by investing in organizations that empower people globally to reach the long-term goal of living sustainable, rewarding and responsible lives. Astonished NOVA faculty, staff and students gave PIMCO a rousing and lengthy round of applause following Porterfield’s announcement. PIMCO has worked closely with NOVA students throughout the school year: PIMCO executives created and taught the invaluable “Tools for Tomorrow” life skills class that educated the teens about financial planning and preparing to live independently. 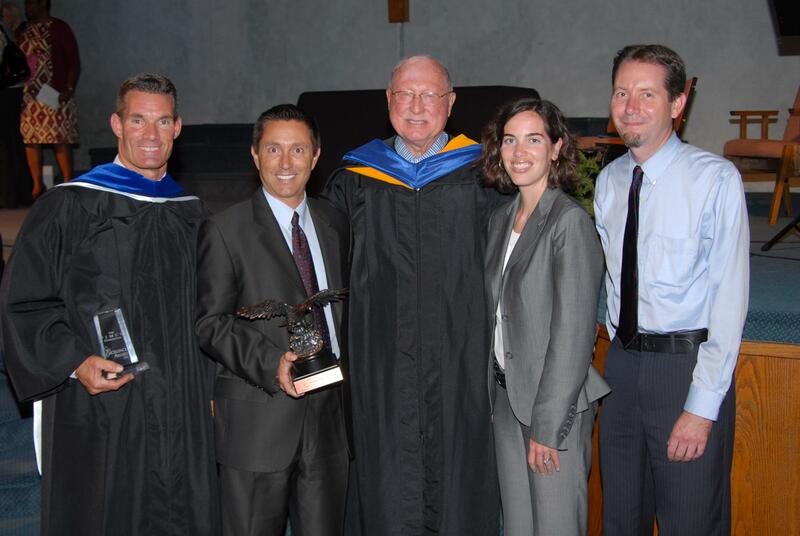 During the graduation ceremonies, Olive Crest and NOVA founder Dr. Donald Verleur presented PIMCO with the school’s “Soaring Eagle” trophy, in recognition of PIMCO’s generous donation of time and talent to the school and its students. During the afternoon ceremony, 22 NOVA seniors graduated from the school—many of them, including Salutatorian Jose Benitez, becoming the first in their families to graduate from high school. 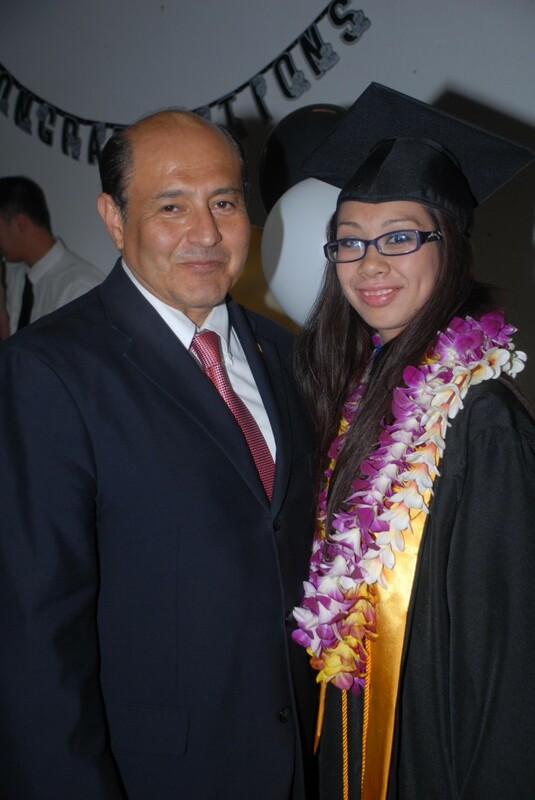 Valedictorian Ashley Cadena graduated with a dual high school degree and her AA degree from Santa Ana College. She will attend California State University, Long Beach in the fall, majoring in Kinesiology. Keynote speaker Dr. Juan Francisco Lara, the retired Assistant Vice Chancellor of Enrollment Services at UC Irvine, offered an entertaining and inspiring bilingual English-Spanish address in which he exhorted students to get rid of los cucuys, aka “the monsters under your bed,” and pursue your dreams. Another inspiring speaker was California State Senator Lou Correa (Orange County), who flew down from Sacramento specifically to present Ashley Cadena with her dual valedictorian and AA stoles. Other VIPS in attendance included: Pastor Dan de Leon, Templo Calvario; Mavis Mitchell, Charter School Financial Services Coordinator for the Santa Ana Unified School District; Sarah Middleton, PIMCO Manager, Community Outreach; Javier Mier, Chairman of the Board at the Orange County Hispanic Chamber of Commerce and President of the Mier Benefit Group; Enrique Perez, Assistant Vice Chancellor of Education Services for the Rancho Santiago Community College District; and Jason Tockey, PIMCO Foundation Administrator. 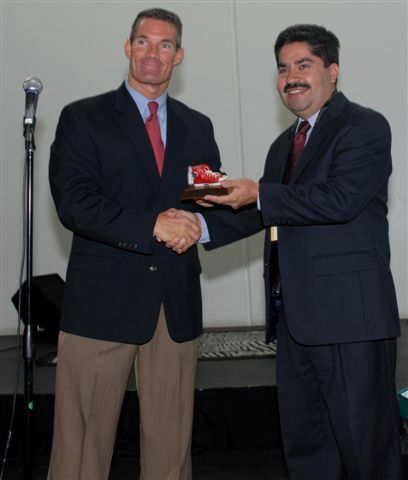 NOVA Principal Dr. Dennis Eastman conferred the diplomas on NOVA’s graduates. Students at NOVA are at-risk teens, many of whom are currently in foster care; NOVA, which received a bronze medal from U.S. News & World Report in 2009, is the only Early College High School in the country specializing in the particular needs of at-risk and foster teens. “Tools for Tomorrow,” which was led by PIMCO’s Howard Chan, Chris Kemp, Erika Lowe, Sarah Middleton, Nishant Upadhyay and Matt Woods, is a life skills class that teaches students the value of smart financial habits, including banking, saving, investing, and buying insurance. In 2005, Donald and Lois Verleur, founders of Olive Crest, had a vision. That vision was to create a learning environment where students are empowered to develop self-sufficiency and a sense of pride in their academic success. NOVA Academy is the realization of this vision. There are several benefits of attending NOVA, which is designed to promote a culture of high academic performance and encourages logical and critical thinking. As a charter school that works in partnership with Olive Crest, Santa Ana Unified School District, and Santa Ana College (SAC,) NOVA students receive both high school and college credits. Students may begin attending courses at Santa Ana College as early as the second semester of their ninth grade year and also have the opportunity to participate in vocational programs. Students focus on individualized learning and develop career plans with the assistance of NOVA staff. 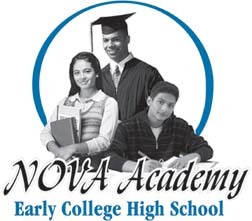 NOVA Academy ECHS strives to provide each and every student with a complete education designed to fit their needs. NOVA is currently accepting registrations for the fall 2010 semester. For more information on the school and how to apply, please contact Dr. Dennis Eastman or Nina Coull at 714-569-0948 or visit nova www.nova-academy.org. accounts, public sector reserve management and other public entities in North and South America, Europe, the Middle East and Asia. PIMCO has more than 1,200 employees. In addition to its headquarters in Newport Beach, California, the firm has offices in Amsterdam, Hong Kong, London, Munich, New York City, Singapore, Sydney, Tokyo, Toronto and Zurich. PIMCO is owned by Allianz S.E., a global insurance conglomerate.